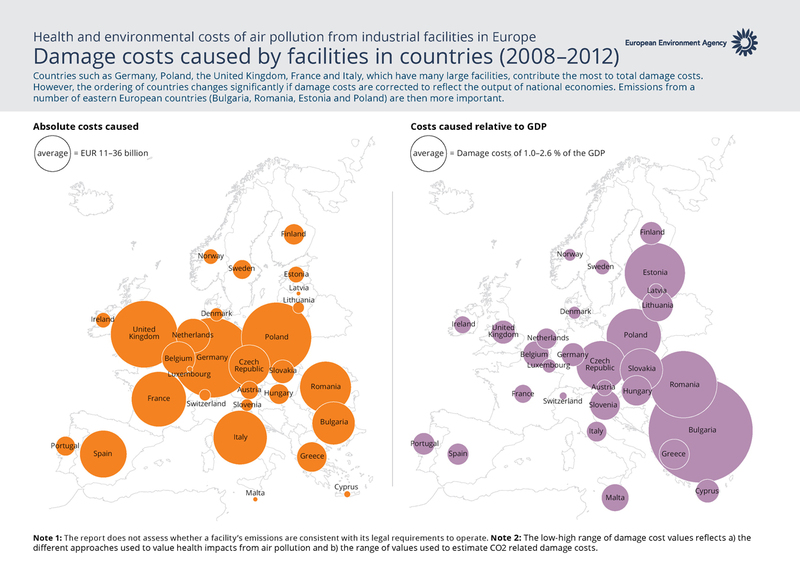 Countries such as Germany, Poland, the United Kingdom, France and Italy, which have many large facilities, contribute the most to total damage costs. However, the ordering of countries changes significantly if damage costs are corrected to reflect the output of national economies. Emissions from a number of eastern European countries (Bulgaria, Romania, Estonia and Poland) then become more important.